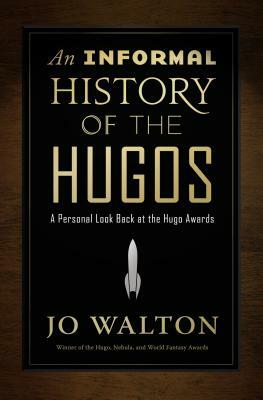 Engaged, passionate, and consistently entertaining, An Informal History of the Hugos is a book about the renowned science fiction award for the many who enjoyed Jo Walton's previous collection of writing from Tor.com, the Locus Award-winning What Makes This Book So Great. The Hugo Awards, named after pioneer science-fiction publisher Hugo Gernsback, and voted on by members of the World Science Fiction Society, have been presented since 1953. They are widely considered the most prestigious awards in science fiction. Walton's cheerfully opinionated and vastly well-informed posts provoked valuable conversation among the field's historians. Now these posts, lightly revised, have been gathered into this book, along with a small selection of the comments posted by SF luminaries such as Rich Horton, Gardner Dozois, and David G. Hartwell.